The team is throwing a welcome back party to mark the return of an old friend to MapleStorySEA! Who could this person be?! WHERE: The Pantheon One City, Malaysia. First 150 RSVP will be eligible for door gifts! An old friend is coming back! Are you able to guess who this mystery person is? Clue : This person has been on the team in the past, and is coming back to assume a new role in our Malaysia office. We'll be having a small get-together where you can have the opportunity to meet this person! So come down and say "Hi!" We will also be taking the opportunity to know our Malaysian fans more and learn what makes you awesome (and how we can make this game awesome enough for you), so come on down to the event venue and let's get to know each other better! Psstt...There will be freebies to be won just by participating in this special event! 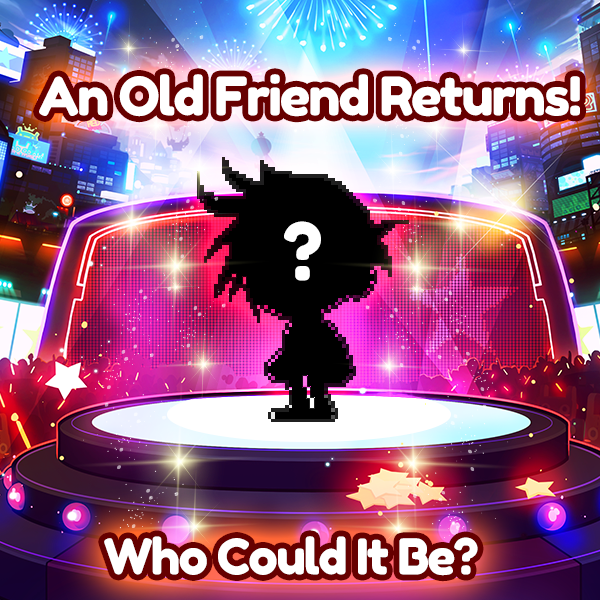 • Mysterious Old Friend Reveal! *Participate in our Edelstein Takeover event for exclusive Brat Hilla Pet Package! Edelstein Takeover is a classic game of Mafia/Werewolf but with a twist of Maple and a dash of Story. You will taking on a role during Edelstein Takeover, either as a Black Mage Commander, Alliance Leader or a Mapler. Every night, Black Mage Commanders will be given the opportunity to seal Maplers away, and it is up to the Alliance Leaders and Maplers to fight against their destiny and working together to stop them! There will be some light refreshments served as well! See you at The Pantheon!